Homemade Japanese salted salmon (塩鮭 Shiojake) with crispy skin. This is a really straightforward recipe. Enjoy the flavorful salmon in rice balls, bento or as a wholesome accompaniment to traditional Japanese breakfast. It’s been almost a week since we came back from Taiwan and my family is finally back to our regular routine. After a long vacation, my family and I always miss eating simple Japanese food, like Hot Tofu (Yudofu) and this Salted Salmon (shiojake 塩鮭). 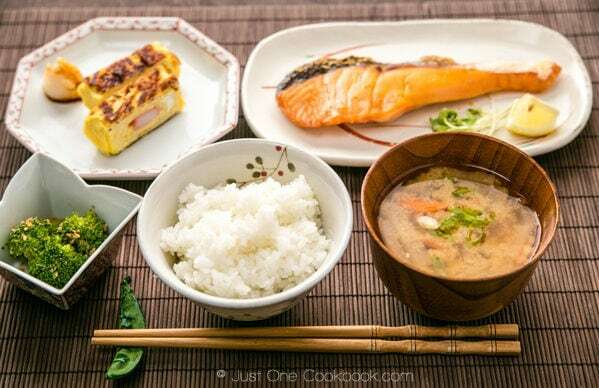 If you have been to Japan, you probably had tried or seen traditional Japanese breakfast similar to the picture below, which features Salted Salmon (Shiojake), rice, miso soup (I made Tonjiru), a vegetable side dish, and some egg (I made Tamagoyaki). 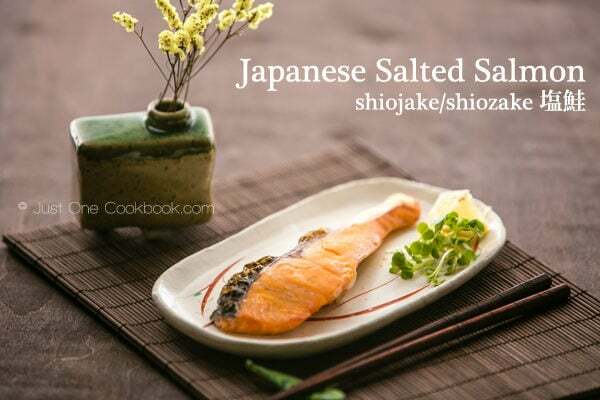 Salted Salmon or Shiojake is a popular way to enjoy salmon in Japan. Aside from traditional Japanese breakfasts, we also enjoy the delicious fish in bento boxes or as a filling for onigiri, Japanese Rice Balls. Salted salmon is so versatile that I also use it in fried rice, Ochazuke (a simple rice dish in green tea) and rice porridge. I used to buy prepared salted salmon from a Japanese supermarket for convenience. You just need to pop them in the toaster oven for 25 min and they’re ready to eat. However, the supermarket ones can be a bit salty. Since my children love salted salmon and its crispy skin, one day I decided to start making my own. It was ridiculously easy that I had never gone back to the prepared salted salmon from supermarket. To make Japanese salted salmon, all you need is fresh quality salmon, sake and the right amount of salt. The salmon is first marinade with sake and let rest for 10 minutes. 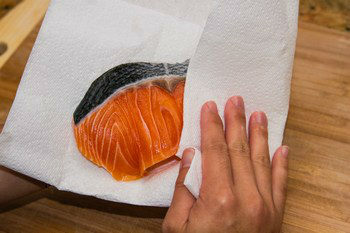 Before salting, you want to make sure to pat the salmon surface dry with paper towels. Then sprinkle sea salt liberally on all sides including the skin. The salting process not only helps to remove any fishy taste, it also plays a role in enhancing umami and firming up the flesh of salmon. We will then wrap the fillets in a few layers in an air-tight container before keeping them chilled in the refrigerator for at least 2 days. After this, they will be ready to be broiled in the oven, grilled or pan-fried. The fish will come out tender with a flavorful crispy skin. When ready to enjoy, have a few squeezes of fresh lemon juice to perk it up. It is really that straightforward. You can make a larger batch of salted salmon at once and keep them frozen to enjoy at a later time. It is truly one of the wonderful way to enjoy this rustic fish dish. Before my trip to Taiwan, I made some of the salted salmon again knowing that I’d miss simple home cooked food. I hope you will give this recipe a try. Make sure you have good Japanese premium short grain rice to go with this. Hmm… it is nice to be home! 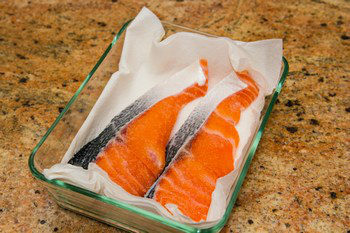 Rinse the salmon under cold water and pat dry with a paper towel. Slice the salmon diagonally if it’s not pre-sliced. Pour and spread the sake on the salmon. After 10 minutes, pat dry the salmon with a paper towel. Apply sea salt on the skin first. Then sprinkle the remaining salt on both sides of the fillets. Use more salt on the skin. Line the bottom of an air-tight container (with lid) with a paper towel. This will absorb excess moisture from the fish. 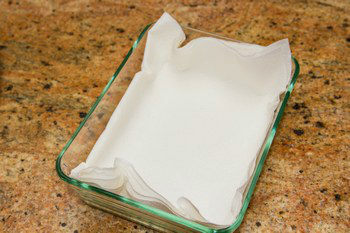 Place the fillets in the container in a single layer and lay a sheet of paper towel on top of the fillets. Then put the 2nd layer of the fillets on top of paper towel and lay another sheet of paper towel on top. Cover with lid and keep in the refrigerator for at least 2 days. Gently pat dry the fillets with a paper towel to get rid of any excess moisture. Place the fillets on parchment-lined baking sheet. Make sure the skin side is up so the skin will become nice and crispy after baking. Bake at 400F (200C) for 20-25 minutes, or until the flesh is firm. 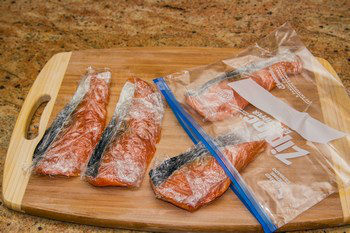 If you don’t plan on cooking the salmon right away, after drying the fillets with a paper towel, wrap the individual pieces with plastic wrap and place them in a freezer bag to freeze. 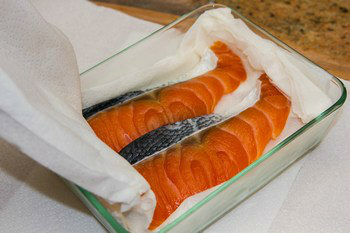 You can store the salmon in freezer for up to 1 month. Remember to defrost before cooking. Salmon is a beautiful looking fish as well as tasting very good and this method of preparation highlights both those characteristics and in a very simple fashion. I look forward to trying something like this one day. It almost looks like there’s something in the middle of your sweet omelet. The whole meal is very inviting. Anyways, one of my favourite things to order from my fave Japanese restaurant is ochazuke. Can I break up the salmon and use it as a topping? Looks super yum and really appreciate the frezing tip! It will be good for a lazy day meal. Hope that life is slowly going back to normal! Also, beautiful setting! Yes, you break up pieces (I usually save leftover baked salted salmon especially for ochazuke or homemade furikake) and use for ochazuke. I should have save some for that… I guess I need to make more shiojake for ochazuke soon! We love salty salmon in our house too. But we are eating it without cooking. Usually I put salt and a little of sugar and refrigerate for a couple of days. But I guess it’s completely different dish. Next time I will try your version, let you know how it is! I love the small vase with yellow flowers. Very appetizing photos! I’ve had salted salmon, but only once or twice. Pretty good stuff! And I had no clue how easy it was to make! Great tip on the salt quantity being 5% of the weight of the fish. Good recipe – thanks. Thanks for another lovely recipe. Will cook this dish tomorrow. Why do you need to spread sake on the salmon? I like my salmon kind of on the rare side. How many minutes then for a piece of salmon about as thick as the pieces in your photos? Oh yummy! And it does look simple with your step-by-step photos! Oh yum! 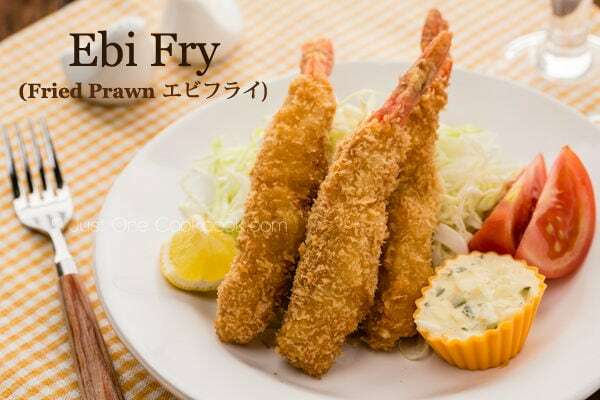 Next to misoyaki salmon, this would be my favorite! But I didn’t know I have to wait 2 days! I guess freezing them after salting would be a way to eat them whenever you want. Thanks for sharing! Looks delicious! I have to try this! My mom used to make salmon for family dinners, and I miss it a lot! I haven’t had the courage to make salmon on my own (and because I didn’t think it was worth the effort to make only one serving for me). But your tip about packing and freezing the extras motivates me to try it myself! Thanks very much for sharing the simple and delicious recipe! Thanks a bunch, always wondered how they did that…now I can! Never knew salted Salmon is so easy to make. Thanks for sharing, Nami. In love with your recipes. I had never seen the salted salmon, sounds interesting! I’d love to try it one day. Thanks for sharing! The whole meal looks delicious! I cant believe how easy it is Nami! Beautiful pictures! My kind of eats! Looks like y’all had a great time in Taiwan! I love how you made this simple but amazing dish when you got home. Nothing’s better than home cooking after a trip to get back into routine. Cheers for the ‘how to get the moisture out’ tips, I might just use that! 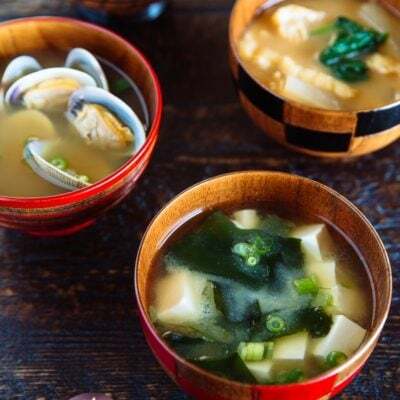 Nami, I would love to come and eat in your home, you always have the most wonderful recipes. I love salmon so this is definitely 10/10 for me! I’ve never seen this before! And so happen I have some salmon fillets in my freezer right now. Going to try this. We love salmon in our household! Lovely to be home indeed, Nami – especially your home! Love simple, delicious dishes that are organised like this in advance. Great idea. Crispy skin is wonderful! Thank you for the salmon shiozake how-to, Nami-san! thanks for sharing this, nami ^^ it’s exactly what i need! though i really didn’t expect the use of sake for preparing this.. how interesting ^^ now i can say bye bye to store-bought salted salmon! 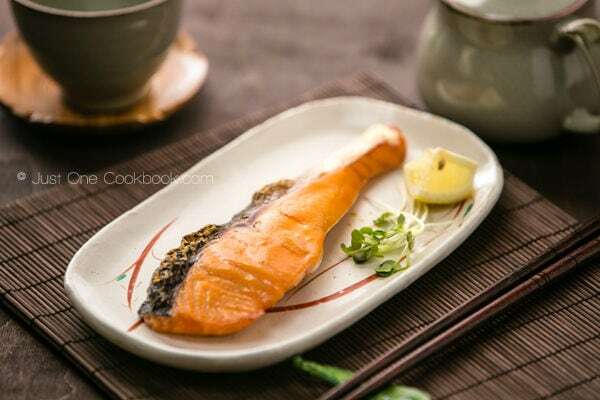 I have a chance to tried this salted salmon when i was in Osaka, it was served in the morning breakfast, simple and yummy..Thanks for sharing your easy and nice recipe. looks great Nami, and salmon is so good for the skin too! I’m going to try and eat it more often. Welcome home! Nami, your photos are just top notch! I dont really like salmon, (except sashimi) maybe I can try this with cod instead. A beautiful dish and way of preparing salmon. This dish looks ever so droolworthy and refined. Oh what a delightful recipe for salted salmon! We ordered this a lot on our last trip to Tokyo and really loved it. 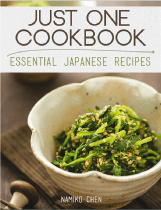 It’s so good on rice or on udon noodles! I must try it soon. I’ll send my son this recipe ~ I’m sure he will love to make this as well. Thanks for sharing, Nami. Hope you’ve recovered from your family trip to Taiwan. I’m sure it was fun! Happy Mon.! Beautiful! If anyone can make fish look fabulous, ’tis you my friend. You rock in that kitchen! This sounds so simple and my husband loves salmon. It’s nice to have you back home. I’ve salted beef, but not salmon. Can’t wait to try this technique! As always, looks delicious! Such nutritious and delicious looking breakfast! Your salmon is so beautiful, Nami! Sometimes the simplest meals are the best! This is a great idea Nami. I’ve never had salted salmon before, this sounds like a really appetizing and simple dish. Gonna go to the supermarket and get some nice salmon cuts tomorrow to make this, thanks!! This is such a great idea, I love salmon and this is an awesome new way to have it! I am glad things are settling down Nami. Isn’t it funny how when you go on vacation, all you want is to try new and different food and when you come home all you want to have are simple recipes! I have never been to Japan but know I know that I’ll love breakfast there. I much prefer savory breakfast than sugar loaded ones. Salmon is so delicious and this sounds perfect. I was thinking it would be something that took a couple of weeks to prepare. So happy that it’s easy and fast:) Thanks for sharing Nami! I love Salmon and this recipe is a new (for me) and healthy way to prepare it. The pictures are so lovely, not to even mention the fact that salmon is my favorite food in the world. I am mesmerized. This looks fabulous! Is it wrong that i want to put this on a bagel soo badly? I appreciate the step by step. Well done. All the hotels I’ve stayed at in Japan always had two breakfast menus. The hotels with the breakfast buffets were a dance for the eyes at all the different things people could choose for breakfast. These are such good photos. Great easy and healthy dinner recipe Nami 🙂 And Salmon is probably the only type of fish that I really like ~ I think I’m going to have to try this recipe soon! So easy to prepare and just wipe up after work. Ooooh….I love this. I also made it but then I pan fry it. I must try to bake it too….less oily. So good for fried rice. I need to make again. Thanks very much for reminding. This seem like a delicious meal. Salmon is my all time favorite fish. I was checking if Sake was Gluten free and it looks it is because it said that they make it from fermented rice. Will find out more. Mmm I was drooling over this from your Instagram account hehhe. Looks sooo good and I am a huge salmon lover! So simple, yet I bet it tastes fantastic!!! I just adore salmon and would love to try this! Delicious! I love salted salmon but it can be tricky sometimes to me to get the salt part just right- Love that you included pics of all the steps! You just keep getting better and better! gorgeous photo and gorgeous dish! sounds lovely! I’ve never been to Japan and I truly hope I will be able to make this trip one day! Now I know what I will ask for breakfast once I will be there! Very beautiful pics Nami! Hi, this recipe is so nice and I will definitely try it. 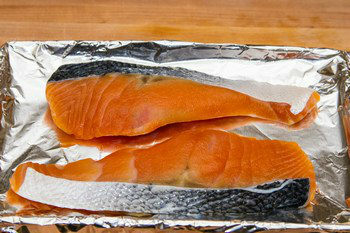 It also looks so easy and if there is one fish that I can find really fresh in Sweden i salmon. So this is the famous salted salmon! I’m really grateful for this post because I remember I asked you what salted salmon meant (I have never seen it here). Some ready-to-cook food products are so easy to make at home that once we discover the method, we prefer to control the process ourselves. I think I have fallen in love with your blog! Japanese is one of my favourite cousines and it is such a pleasure to encounter a blog dedicated to it! Fantastic! Perfect way to prepare salmon! This looks awesome! We love salmon at home and I cook it often. This recipe is a must try. Hi Nami – at first I thought this might be some sort of cured salmon, like the Swedish gravlax, but then I noticed it was cooked at the end. It looks so pretty with those cut slices. 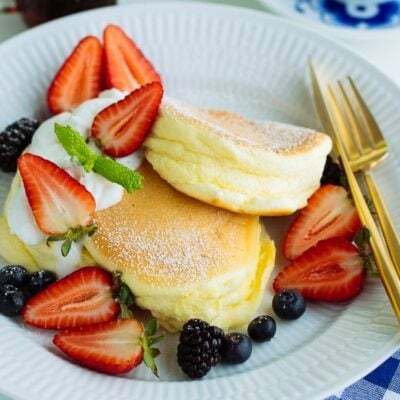 I remember when I was staying in the Izu peninsula in a traditional Japanese hotel… my ex-girlfriend was so mad because I slept in and missed the traditional breakfast (oops) – maybe they would have served something like this there! It looks very tasty though… I’ll remember to try it sometime! Hi Hatsuho! Yayy!! I’m so happy to hear you already tried this recipe and enjoyed it! Thanks so much for letting me know! 🙂 Your meal is very healthy and delicious!! I need to try this asap. I love salmon, it’s just such a great fish. I can’t wait to try this. Your photos are amazing as always. 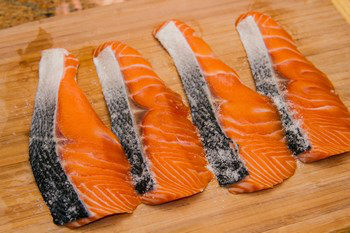 Nami, just outdid yourself with this post for Salted Salmon! Not only does the recipe sound and look amazing, the pictures are just utterly fantastic! Your blog posts never cease to amaze me! 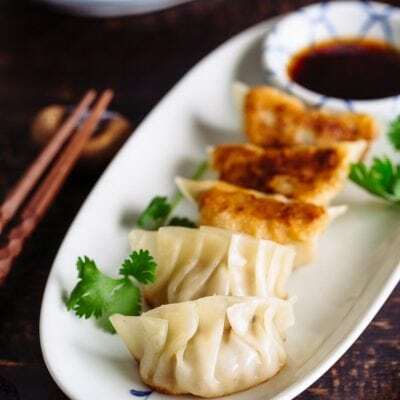 I like this recipe so much nami! 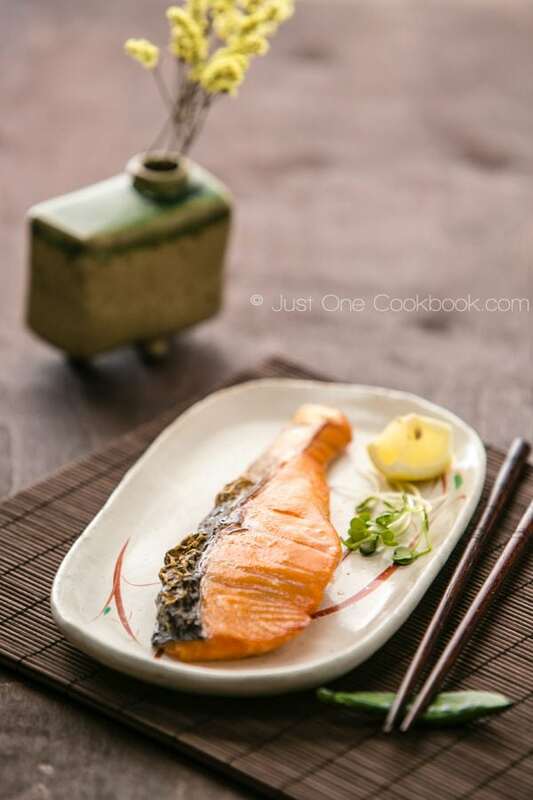 simple and absolutely seducing…to be honest, I only like to eat raw salmon with Japanese souya but after seeing your recipe I convinced to try it. I love the salty crispy skin, too! Whenever I broil salmon (which is often) I always make them extra crispy by separating it from the meat to crisp both sides. Yum! I would have this dinner any night and be happy. Looks not difficult to make, just be patient to have it ready. Simple homemade meal like this is always a winner, especially having to eat out most of the time on a holiday. Even if we treat ourselves at a good restaurant, the foods can be overly salted and heavy on oil. Glad to hear that you managed to get to the routine after a holiday. Love salmon cooked in any manner. My dad used to cook fish by curing them with salt. Although he hasn’t been making them for eons, I remember the taste was simply the best. Simple, beautiful and delicious… Salmon is a gorgeous and tasty fish and one my favorites! This salmon recipe sounds easy and super tasty: a great way to eat more fish! Your taiwan trip looks so fun! 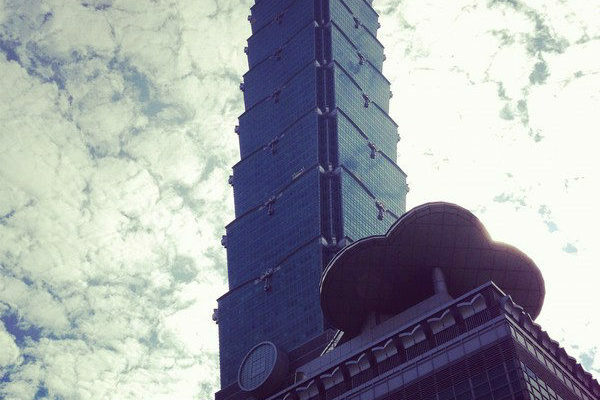 I miss taipei, especially the food. 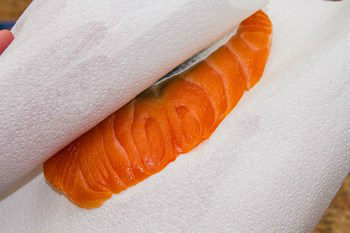 I’ve never tried this salted salmon before, and the trick of putting salt on the skin and season it for 2 days.. genius! just to clarify, it’s using grill and not baking in the oven, correct? Seeing posts like this makes me wish my husband actually liked salmon 🙁 It looks absolutely simple and delicious – I love meals like this. Wow Nami, what lovely photos in this post. I was really struck by that very first shot. Beautiful. 🙂 This makes me so hungry to read! Love the idea of treating the fish with Sake first. I look forward to trying that. Hope you are well! 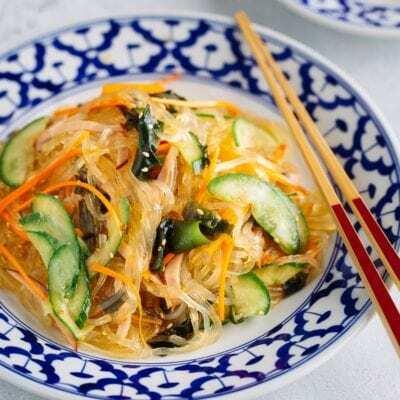 Wow, this looks and sounds fantastic as a quick lunch option for 1 – I often crave salty flavours for lunch (apparently that’s stress related!). Fro me that is an unusual breakfast, but won I woul like totry. This is a great recipe and sound wonderful. And its great by doing it at home you can control the salt. Welcome home! How nice to come back to simple, delicious food such as this salmon. I appreciate your detailed recipe and can’t wait to try it. I know my family will really enjoy this one! That’s one good way to enjoy salmon Nami! So simple and healthy too. Thank you very much for sharing! We are very picky here at home with salmon recipes because the fish has strong taste. But I like how Japanese prepare salmon because there is no strong smell or taste that lingers! Maybe the diagonal cut has something to do with it, too – make it more fine and thin, therefore not much of the strong smell. I will definitely try this one at home. Can’t wait! I’m not sure I’ve ever tried this in a Japanese restaurant, I’m very curious to give it a try at home next time I get salmon. I can certainly identify with longing simple homey food after a big trip. And what a gorgeous photo of the salmon! I am so glad that you posted this. I am definitely going to try this. I am amazing on all you do Nami…with the travel, family, blog and much more. 🙂 I have missed you and checking in here each day! Hope to have a working computer soon so I can keep in touch with everyone. Have a wonderful Christmas! Hey again! Thought I’d give this one a shot… and it went very well! Hi David! I’m really happy to hear you liked this recipe! Unfortunately I couldn’t see the link you provided (maybe because of your privacy setting), but I appreciate you stopped by to give me your feedback! Thank you! Hi David! Now I could see it! Thank you!! I tried to “share” the photo on my fan page but somehow I couldn’t. It looks perfect! I’m happy you enjoyed this dish. OK, I think I fixed it so you can share the photos on your fan page. I think it was a permissions issue on my end. Can you let me know if it works now? Thank you David! I got the pictures you uploaded to my fan page, and I could share from there. Thank you so much for sending! 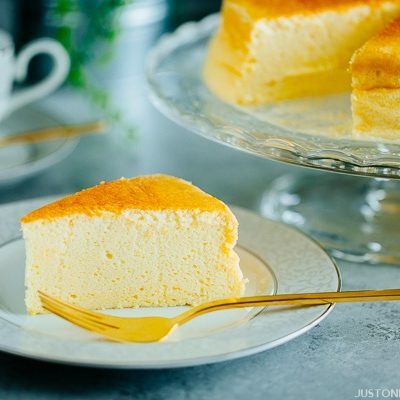 Your cheesecake method is awesome! I wish I have a bigger cake pan, but my ovens are relatively small so I assume I cannot fit… Thanks again! Thanks for sharing this delightful and simple recipe. I supposed I can use also use mackerel? What type of salmon do you use? Looks like a great technique, so easy and I’m sure it’s delicious. I just ate the Shiozake that I cooked 🙂 That is so tasty and easy, thanks for the recipe Nami. I am so happy to run across your website when I live in Japan. I made this a few months ago, would it be any good? Hi Jess! I think the fish is now too salty… You can probably make onigiri (rice ball) or salmon fried rice with it and omit other seasonings (or adjust other seasonings). Hope that helps! Hi nami! I love all your recipes and I’ve been looking up your blog again to find ideas on what to cook for my one year old boy who recently started refusing foods.. I was just wondering, do u think it is safe to soak salmon in sake if I were to serve it to a one year old? I’m thinking perhaps during cooking, all alcohol would have evaporated anyway but I thought I’d better ask… I’ll probably skip the salt on his portion or put very little salt, and just salt the rest of our portions. Do you think it would work? Thank you so much in advance! Hello! I love your recipes, they all look so tasty! I have a question, I was wondering if there’s a substitute for sake? I’m only 14 and I don’t think I could get my hands on some. Haha. If you could answer, that would be awesome! I LOVE this recipe. I’ve been making it frequently and my fiance’ who used to brag about how much he hated fish and all seafood, loves this! I love salted salmon. When we used to get it in Japan it was always in the form of a salmon steak though – with the skin all along the outside and the bone in the middle. Possible to share a video on how to slice up a slab of salmon into this size? Hi, I have a quick question, could this work for Steelhead? Sounds delicious! I heard somewhere that sometimes salmon flakes are stored in jars in the fridge and can be given as gifts. Is this the recipe for that? So I made this recipe, but I used table salt. It is WAY too salty. If I had used sea salt would the result have been better? Hi Mike! I don’t use table salt, but theoretically, sea salt and table salt should be the same amount (while kosher salt required double amount for same saltiness). I want to just double check with you – this salted salmon is supposed to be “salty” BUT it’s not super salty that you can’t eat. It should be just enough to enjoy without any sauce (like soy sauce). 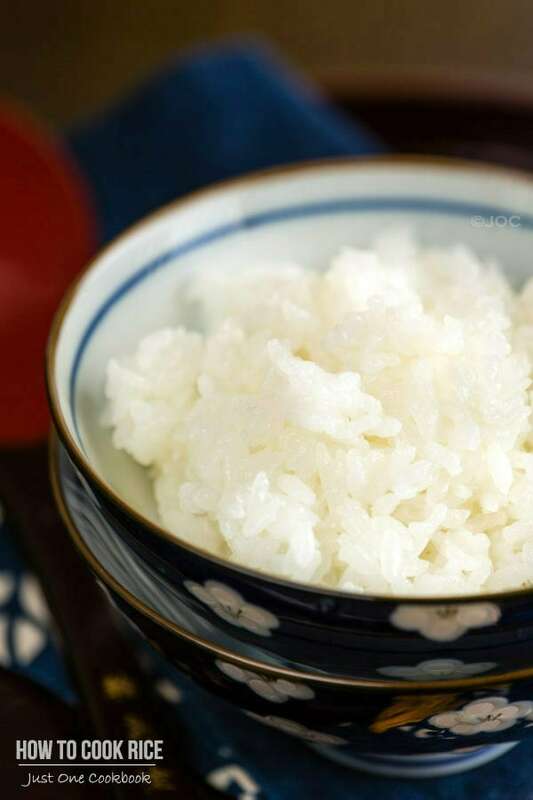 You’d grill and ready to eat with steamed rice (by itself, it should be a bit salty to eat alone, usually). I need to make sure you know that’s the type of dish. I have made some of your other recipes and really enjoyed them, so I will try this again with sea salt and report the results. 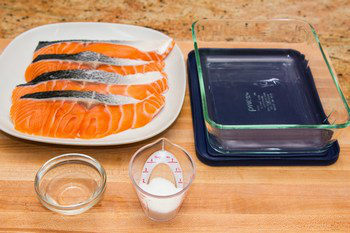 I used about a pound of salmon and 4.5 tsps of salt, but next time I will use a scale and measure the weight. Last question: Are you using a fine grained or a coarse grained salt for this recipe? Hi Nami! If I am planning on freezing the fillets, do I freeze it after I pour the sake and sprinkle with salt? Hi Kim! After step 10, you go to skip 11. 🙂 You need to finish the process before you freeze. If I were making this with only 1/2 a lbs of Salmon rather than 1 lbs would you use half the salt? 12.5 grams instead of 25 grams? Would you also use only half a Tbs of the Sake ? Do you have to leave the salmon for 2 days in the fridge or is 1 day enough? Hi Katie! 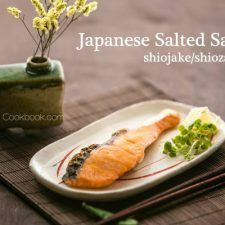 Yes, you can use half of salt and sake specified in this recipe as you’re using half amount of salmon. I JUST want to say. That 2nd photo up there was such a perfect shot. 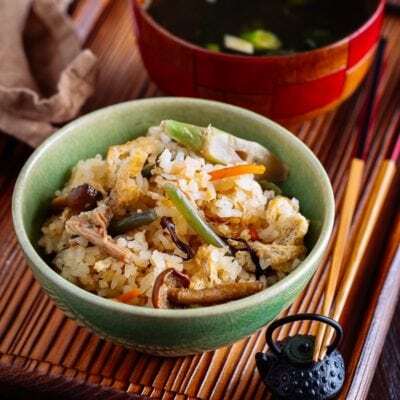 It is not my first time on this page but when I come back, I always stare at that 2nd photo of traditional Japanese breakfast because it it looks so delicious and nutritious. That is some awesome food photography there. Thanks so much for sharing – I love your blog! I’ve made this recipe twice and the skin never really came out crispy for me and was wondering if you had any additional tips? Or maybe I’m missing something? Hi Renee! I am so sorry for my late response! i’m glad to hear you enjoy my blog. Thank you for your kind feedback. Hi! This looks SUPER yummy but I just can’t trust myself with fresh fish quite yet (just started living on my own so I haven’t quite mastered grocery/cooking habits that *dont* end in fresh food rotting away in the fridge). Can this possibly be made with frozen + thawed salmon? I know fresh is preferable, but will it be safe to try with frozen? I am trying this salted salmon recipe for my Nana. I’ve been reading your blog and cookbook so I can make home made food for her. She is 89. Hi Rose! That’s so sweet of you to make food for your Nana! She’s so lucky! 🙂 Hope she enjoys this recipe! Hi there! I recently made a trip to Japan and absolutely loved the salmon we had in our bento meals and in onigiri. 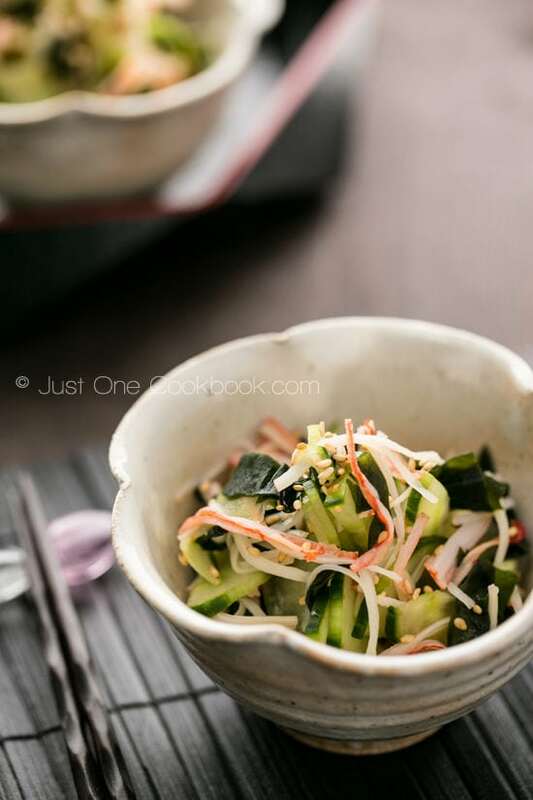 I wanted to go ahead and try this to put in onigiri for my lunches, hoping this will turn out! Thanks for the recipe! Hi Hollie! I’m so happy to hear you enjoyed this salmon dish in Japan! Hope yours will turn out well. It’s great to keep the salmon in freezer and bake it when you need a quick meal. 🙂 Enjoy! Hi Carrisa! I’m so happy you enjoyed this recipe! 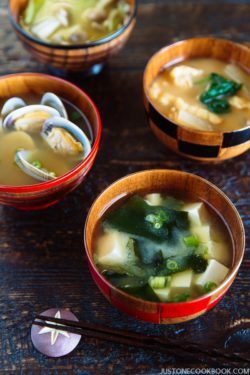 Your breakfast with salted salmon, miso soup, and rice sounds like my kind of breakfast!! Thank you for your kind feedback! I’m so glad you have this recipe on your site. I recently stayed 2 weeks in Kansai region (Osaka, Okayama, Kobe & Hiroshima) and had been enjoying Japanese breakfast in my hotel. I love the grilled fish they served in the morning. Does this also work for gindara? How do you defrost the salted salmon? for How long should i bake the fish in the oven? 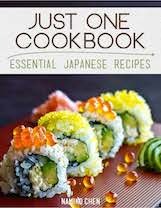 Nami, I also used to buy salted salmon from Mitsuwa and Nijiya until a few weeks ago I saw this recipe here. Last night was my third time I have made salted salmon. The first time I used course sea salt and the second time I used Maldon salt. I had a better result using Maldon salt, so last nigh I used it again. I noticed that the salmon was more red with Maldon. Each time I buy a whole salmon I have it filleted. Salted salmon, shimeji mushrooms, mitsuba leaves, toasted sesame seeds all mixed with rice. Easy to make yet very healthy. Thanks for a lovely recipe. Hi Steve! I had never used Maldon salt, but thanks for letting me know the result. Interesting to know. I’m so happy you are enjoying this recipe! 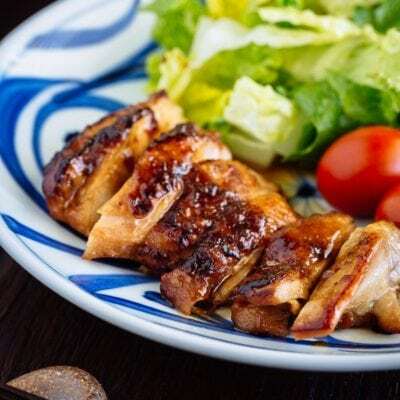 Your dish sounds delicious – I love mitsuba in the dish. So refreshing! Hi Nami. I want to know, how do you actually cook the salted salmon for Japanese breakfast? Do you simply bake it? Does it get any kind of seasoning? Hi Nami, I just finished salting some mackerels tonight, and I’m looking forward to cook it in 2 days. I used your technique on some frozen pike mackerels and they were fantastic! Hoping next time I can buy fresh salmon and do this again. 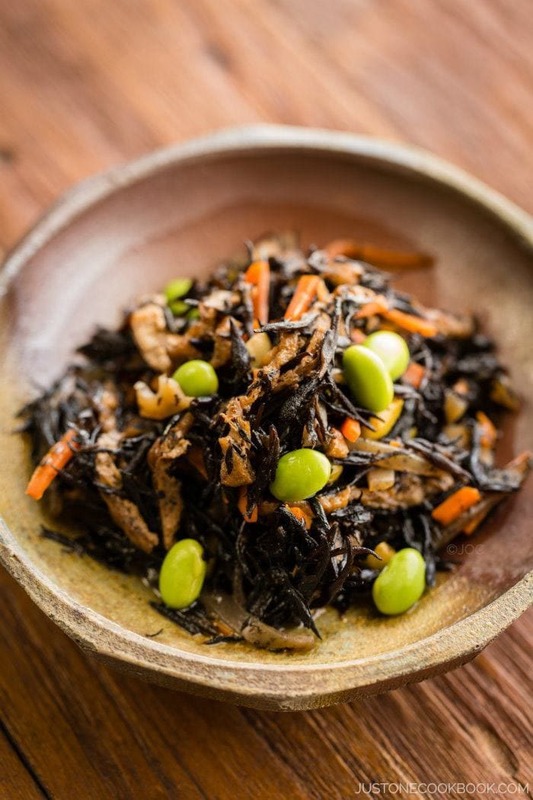 Is this fish treatment different than 一夜干? Hope yours came out well! Hi Nami! Can you go ahead and cook the salt salmon and then freeze to eat later? Or best to freeze raw and cook after defrost? 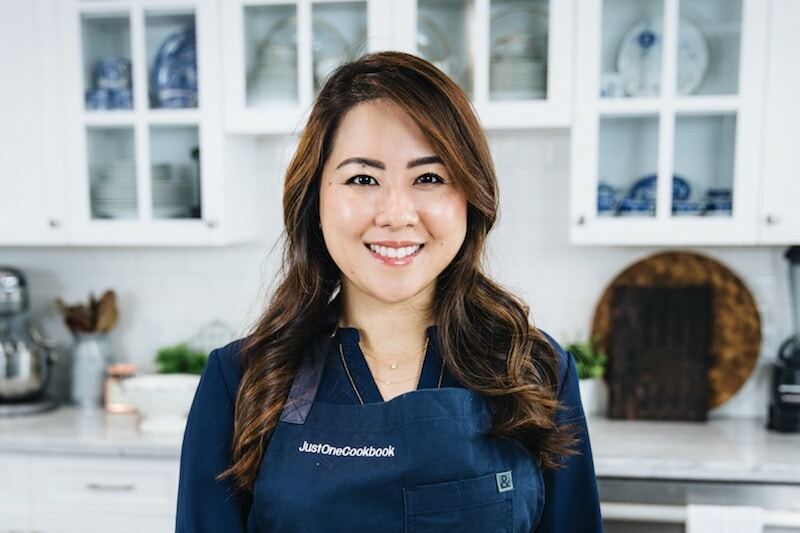 I wanted to thank you for this amazing recipe; I always wondered when I was in Japan why the salmon was always so perfect, so much less oily than any I had eaten anywhere else! Now, after trying this recipe, I know. 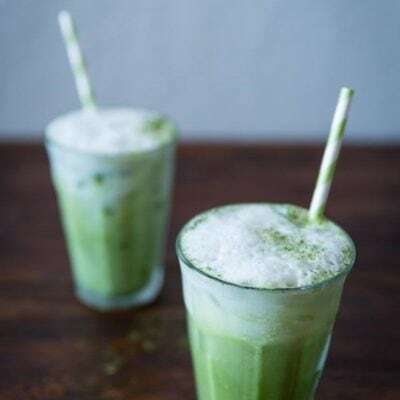 🙂 I’ve added it to my list of low-calorie recipes in fitclick.com and recommended your website there; you have so many good things! So I am currently living in Kuwait and alcohol is against the law here. Is there something I can substitute the sake with? I thought you had a recipe for salmon with shio koji. Did I just imagine that? Do you have to use sea salt? Can you use other salt like kosher or regular iodized salt? I wanted to ask if I can still make this with salmon that doesn’t have skin? I love the recipe as I’ve made it before, but I haven’t got any skin-on salmon right now. Please help.